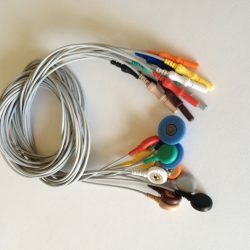 48″ ultra thin reusable color coded lead wires for the Snap-In electrodes. Set of 5. 1 inch square, 150 count. 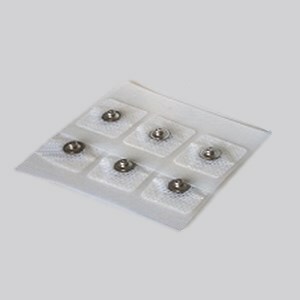 MVAP II adhesive pre-gelled cloth electrodes are used on skin with Snap-In leads. 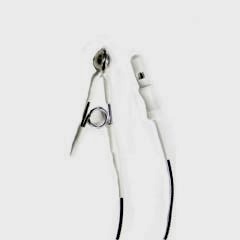 Silver ear clip electrode. Solid silver cast ear clip electrodes. Order 2 if you want a pair.